With a family musical lineage that goes back three generations, it’s no surprise that EmiSunshine is a natural performer. Like her great-grandmother, Emi has the ability to turn on the country charm and entertain a crowd. Like her grandmother, Emi can sing gospel with the conviction of a soul who’s been on the earth years beyond her age. And like her father, Emi can cut loose and have fun with the crowd. Before Emi could even talk she was cooing along to harmonies with her grandmothers. 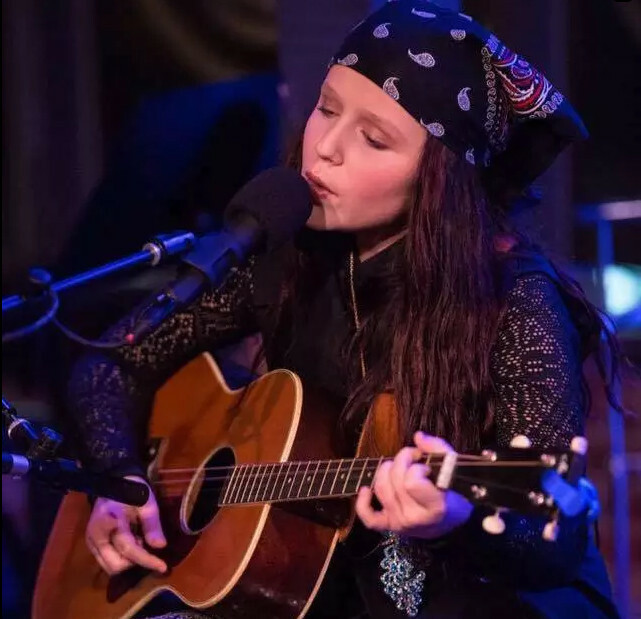 By the time she was five, she’d written her first song. By the age of six she’d already performed live at countless churches and festivals around east Tennessee. At age seven she simultaneously recorded her first two albums, Strong As The Tall Pine and Wide River To Cross with the help of her musical family.